A California-based farmer reflects on changing consumer trends and the challenge of hiring seasonal labor. BusinessesForSale.com spoke to California-based first generation farmer, Brandon Farwaz about buying a farm, work life balance, changing consumer trends and the challenge of hiring seasonal labor. What kind of personality does farming suit? One, they have to worry a little bit, because there are plenty of things to worry about on a farm. But they can't worry about every little detail as they'll drive themselves absolutely nuts. They have to be good with people from an employer-employee relationship [perspective]. I can't think of any farm that operates as an economic unit without any employees so they have to be good at managing employees - how to draw the line between possible friendship and employer-employee conversations and relationships. Any tips for people thinking about buying a farm? Right now commodity prices and land prices are at - I think it's fairly safe to say - record highs, so, if you're thinking about buying a farm, I think you have to be a little bit careful and say "if I buy this land or this piece of equipment and my commodity - whether it's hay, corn or nectarines or you name it - goes from X dollars a ton or per pound or bushel to Y dollars per unit next month, can I still pay my bills?" What are the dominant consumer trends right now? I personally feel like the organic movement is slowing down a bit and the local movement is picking up. People would rather buy their food from an area or farm that they know and trust than something imported with the organic sticker. So the local part is going to be important. On a wider scale I don't think small operations will be what feeds America; I think they'll feed certain people in America. What are the biggest challenges in farming in your experience? Challenging aspects could be cut into a couple of categories and one would definitely be labor. We need some labor need year-round and it's not too difficult to find a couple of good quality employees that want to make their livelihood working on a farm or ranch year-round. Where we struggle is finding good quality help that we need for three to four months of the year - that's a definite struggle. What do they do from late September and October through March or April? Usually, the really good quality people have year-round jobs and aren't just looking for seasonal work. How has farming affected your social and family life? Prior to being married and having a child my schedule and social activities were dictated by what we had going on in the fields and the weather - that always came first and the social part came second. Now having a family, it's definitely a balancing act between what the weather and the season and the particular day dictates and the needs of, and responsibilities to, the family. There's times when there's conflict and there's times when they're in agreement and everything moves smoothly. I've always been the kind of person who's always busy and doing something so when I'm not working we try to be active as a family. What is the earning potential in this sector? 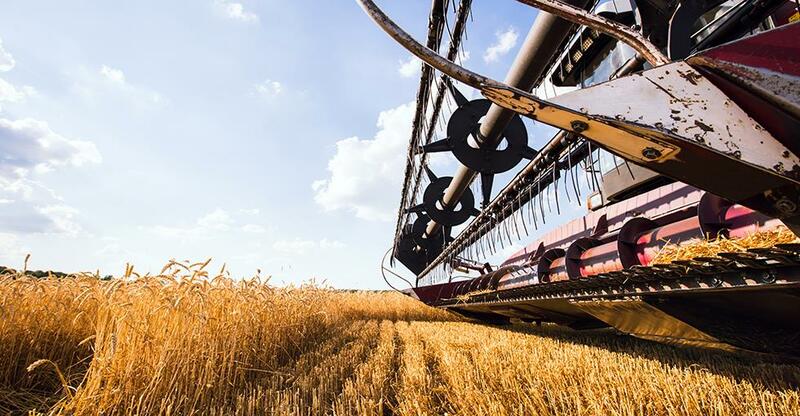 It varies depending on the market - and anyone involved in the agricultural industry will look at commodity prices, which have been pretty decent during the last couple of years. '09 they were horrible - a lot of farmers dug a pretty big financial hole and it took until '10 and '11 to fill that hole and maybe start to break even again. And now they're making a little bit of money again and they'll save that up for the next rainy day. I would say that if your farm is a decent size for that area then you should live an average upper to middle-class life - a farmer who makes a $30,000 to $40,000 living. In some areas it might be $30,000 and others might be $60,000 to $75,000. Or you might go to the wine country and make $100,000 or $120,000 - so I think it really depends on the area.